Other 1.000 bib numbers for CCF19 are gone! New Year in bringing us lots of satisfaction! 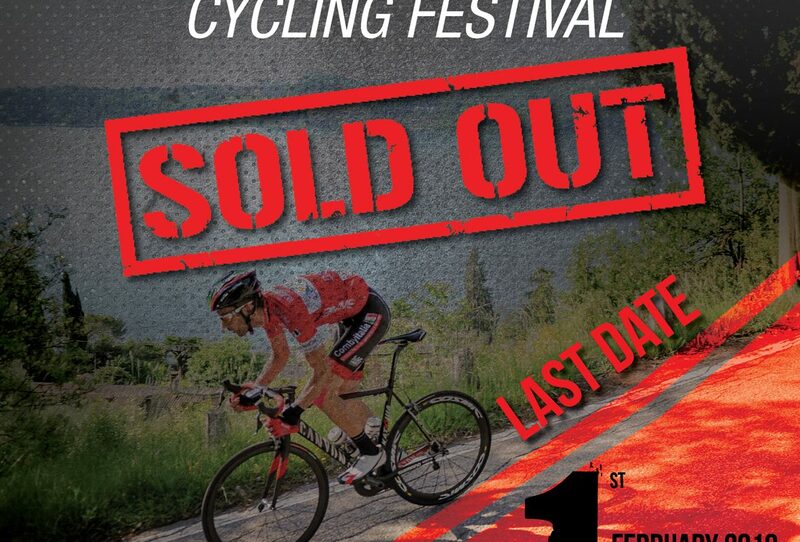 First 2019 registration’s opening turned put great and it confirmed C.O.’s expectations: 1.000 bibs were sold out in few hours, they flew away and abroad, confirming that Colnago Cycling Festival is a more and more international event! The registrations‘ numbers and C.O.’s wishes seem to say that first weekend of April will be an amazing weekend in the spirit of cycling and fun for the greatest and the littlest!! So, we recommend you to visit our website to keep you update about the program of this special weekend! If you weren’t be able to register yourself to CCF the last time, you can buy your bib the next date: February 1st 2019 at 9.00 PM there will be last registrations‘ opening for Colnago Cycling Festival. We remember that you can register to the race on WinningTime website (⇒ www.winningtime.it)! Waiting for the next 1.000 bibs, we remember you that if you have anydoubt you can write to our email address! Furthermore, we invite you to follow us on our official pages on social networks!